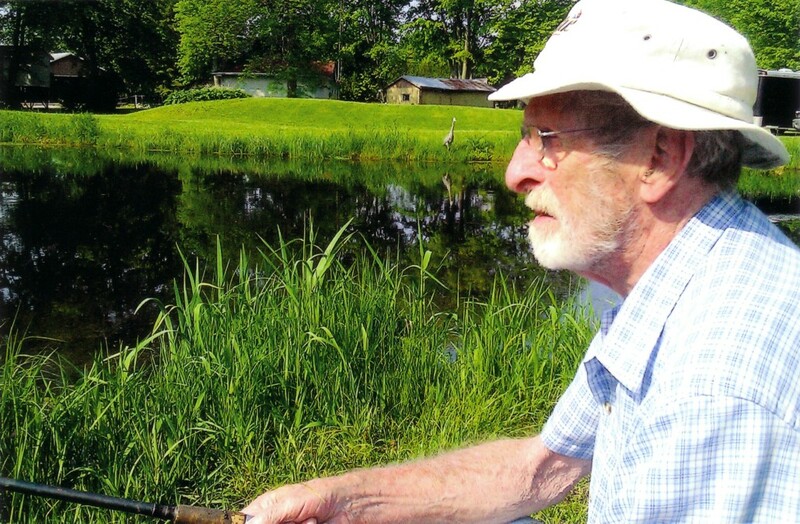 Gordon M. Wright resident of Woodville, passed away peacefully at the Ross Memorial Hospital, Lindsay on Thursday, November 27, 2014 in his 87th year. Loving father of Sharon (Nick Hostiuc) of Hamilton, Jim (Gabrielle) of Chicago, USA, Paul (Kathy) of Ennismore and Stephen (Karen) of Peterborough. Grandfather of Rhonda, Jenn, Tina, Darren, Jillian, Dominic, Jamie, Casey, Katelyn, Robert, Andrew, Kelly and Jordon. Great Grandfather of Joshua, Jenna, Laura, Sophie, Drew, Nathan, Meghan, Leah, Brody, Sawyer, Hailey, Addison, Aislyn and Vanessa. Survived by his sister Gwen Taylor of Port Perry, niece Barbara and nephews Ron and Wayne. The family will receive friends at Parker Funeral Home, 19 Moose Road, Lindsay on Friday, December 5th from 7:00 pm – 9:00 pm. Interment later at Rosemount Memorial Gardens, Peterborough. In memoriam donations to the Heart and Stroke Foundation would be appreciated by the family. Online condolences may be made at www.parkerfuneralhome.ca.